You already know how important it is to keep hydrated. 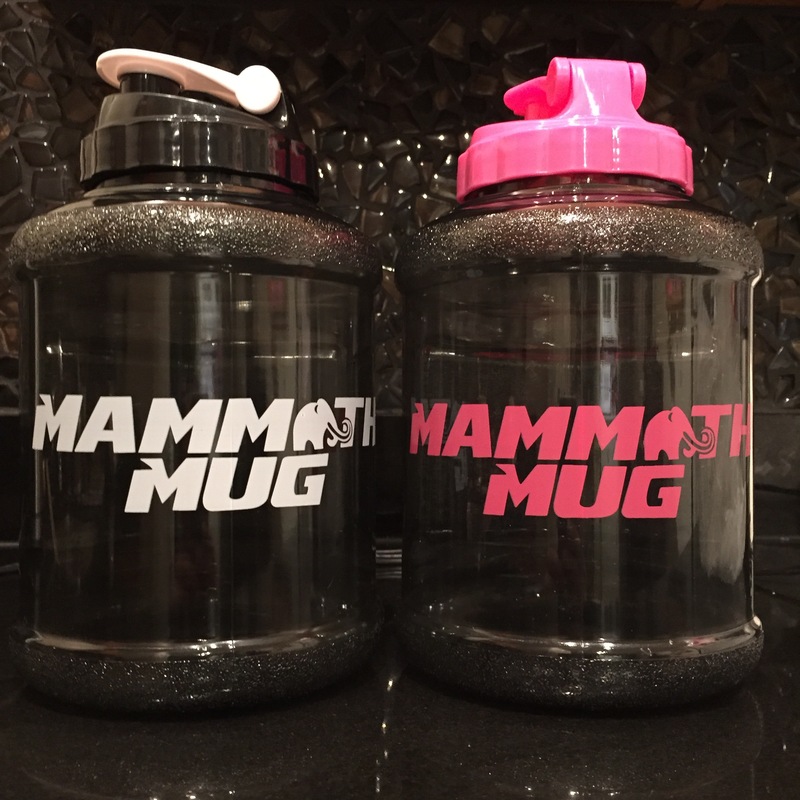 Well, to make sure you keep your daily intake in check I have two Mammoth Mugs up for grabs! All you have to do to enter is subscribe to my blog and tell me what your greatest fitness achievement is in the comments below. The winner will be chosen at random next Friday. Let’s motivate and encourage each other! I lost 30 pounds in 8 months and stepped on stage to compete. My new goal is to maintain and not rebound! Lisa, it definitely would have to involve the Mental aspect of the fitness lifestyle. The easy part is when I am in the gym and pumping those weights. The easy part is hiring the trainer and following their programs. The easy part is finally stepping on stage and reaping the rewards of all that hard training. I feel the greatest growth comes from consciously making the switch in my thought pattern. I can easily convince myself that I can exercise tomorrow because my body is tired or that I have too many things to do. It is more of a challenge to switch those thoughts around into empowering ones where I convince myself that exercising would help me with my energy levels. The more I do this, the stronger my Mental conditioning becomes. This has been my biggest accomplishment or “Ah Ha” moment in this journey. BTW, I love you blog and thank you for sharing your wisdom! Last year March i joined the gym – for the first time seriously to weight train….i had been at gyms all through high school, I had personal trainers but never took it seriously, when i worked out on my own, i mostly just stuck to cardio as i really never knew what i was doing. A good friend of mine taught me alot, she wrote my weekly plans for me – showed me exercises when i was lost and she also taught how to count my macros…. and over the next 6 months i lost 30 pounds. Its not a huge fitness goal, i never entered a competition, nor did i even remotely look like i could, but….it was huge for me. My biggest fitness achievement has been getting the courage to workout on my own in the weights section surrounded by men! For over a year, I only did strength training with my personal trainer and either cardio or kickboxing on the other days. I was always scared and embarrassed to perform exercises around a bunch of ripped guys. Finally one day I just did it because I was tired of not having muscle definition and it was the best decision ever because I mean really who wants to be doing cardio in the gym. Now I even get complimented by guys on my training and physique. Ladies need to get out of their comfort zone and not be afraid to pick up the heavy weights! First of all, congrats on YOUR success! You are a star!! !